The team of Shalibeik IP includes experienced European and German Patent Attorneys as well as Lawyers. Hotan Shalibeik studied Electrical Engineering at the Hamburg University of Technology and at the Australian National University in Canberra. He obtained his doctorate in 2007 at the Braunschweig Institute of Technology. His PhD thesis is related to the field of optical communications, in particular to rare-earth-doped fiber lasers and amplifiers (see dissertation). He is an author and co-author of several scientific publications in the field of optical communications and photonics. Mr. Shalibeik is Patentanwalt (German Patent Attorney) and admitted to the German Patent and Trademark Office (GPTO), to the German Federal Patent Court (FPC) and to the BGH being the highest court in Germany, the German Federal Court of Justice (FCoJ), in nullity appeal proceedings. He is also a European Patent Attorney and admitted to the European Patent Office (EPO) as well as a European Trademark and Design Attorney and admitted to the European Union Intellectual Property Office (EUIPO) in Alicante. He has been active in intellectual property law since 2007. 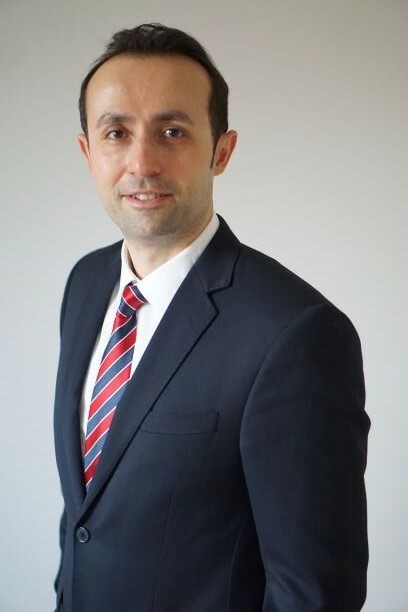 Mr. Shalibeik began his career in patent law at one of the most prestigious and renowned German IP and Law firms in Munich and at a large IP firm in Düsseldorf. During his training, he was also active at the German Patent and Trademark Office in Munich, at the Federal Patent Court in Munich and at the Higher Court for Patent Infringement and Litigation in Düsseldorf and graduated in 2010 as Patentanwalt. Mr. Shalibeik then started to work as a patent attorney at the Munich, Stockholm, Gothenburg and Malmö offices of one of the largest and most prestigious European IP law firms, where he inter alia served a number of highly renowned major international corporations who are active in various technical fields. In 2013 Mr. Shalibeik founded Shalibeik IP. He has gained international patent experience prosecuting applications and his main practice areas in the field of Intellectual Property Law include IP strategy, patent, trademark and design matters as well as licensing. He supervises cases in all areas of electrical engineering and information technology, especially telecommunications, measurement and control technology, automotive, optics and lasers, antenna technology and software as well as in the field of medical technology, process engineering, mechanical engineering and physics. Hotan Shalibeik speaks English, German and Farsi and possesses advanced knowledge of French and Spanish. He is inter alia member of the German Patent Attorney Chamber (DPAK), of the German Association for the Protection of Intellectual Property (GRUR), of the Association of Intellectual Property Experts (VPP), of the Institute of Professional Representatives before the European Patent Office (epi) and of the International Federation of Intellectual Property Attorneys (FICPI). Since 2015 Dr. Shalibeik is lecturer for patent, trademark and design law at the Hamburg University of Applied Sciences (HAW). He is also a member of the working group on International Patent Law (CET 3) of FICPI.